When safety and strength are most important, choose Marco Specialty Steel for your metal stair treads. 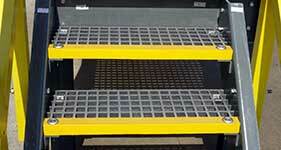 Our treads have load bearing capabilities, open area and are easy to install and maintain. Our inventory includes thousands of panels of grating and stair treads, ready for immediate shipment. Panels are available in smooth or serrated surface. Standard carbon steel panels are available in mill finish, hot dip galvanized or powder coat painted finish; stainless steel comes standard in mill finish. 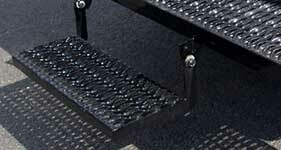 Marco Specialty Steel fabricated stair treads are manufactured in the full range of products. 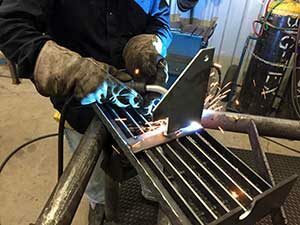 They are versatile and available constructed in most of the specialty metal and fiberglass products we offer. 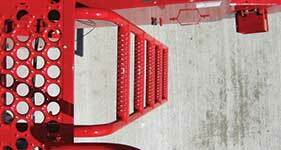 Because safety is paramount, in addition to load bearing capabilities, open area, and easy maintenance, Marco Stair Treads are the product of choice. 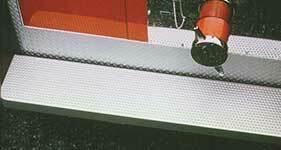 Our vast inventory includes many panels of grating and stair treads ready for immediate shipment. Panels are available in smooth or serrated surface. Standard panels are available in 2′-0″ or 3’0″ wide by 20′-0″ or 24′-0″ span. Special length panels can be custom manufactured on our “Run-To-Length” line and can be produced to almost any non-standard length, to suit your exact application or end use. If required, many specifications are available as domestically produced and meet the “Buy American Recovery Act” provisions, or as DFAR compliant (DFAR Clause 252.225-7014.) Contact one of our experienced sales staff to discuss how we can work together to meet your specific needs. Stair treads come in all shapes and sizes for many uses. 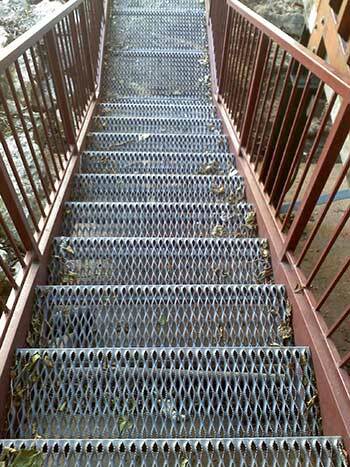 Exterior metal stair treads have to be especially tough and able to handle harsh conditions. 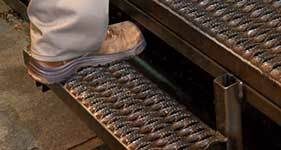 Marco stocks and fabricates exterior metal stair treads in all the materials above. Call us today so we can help you pick the perfect tread in the perfect material. Do you need interior metal stair treads instead? We have those too. These metal treads don’t have to withstand the weather, but they do have to hold up with heavy foot traffic. Whether you need interior or exterior stair treads for your facility, call Marco to find out our availability. 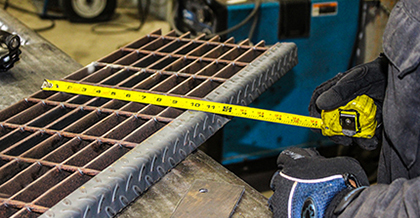 Whatever your fabricated grating application, whether it’s a small trench grate, or a large complex structure with cut-outs and toe plates, Marco can provide a solution. Marco can also offer complete turnkey service including engineering and design, fabrication, shipping, and field erection drawings for large scale projects such as new construction, or refurbishment projects. We provide expert assistance with design, estimating, sales, engineering, project management, prompt accurate quotations, and site installation consulting. 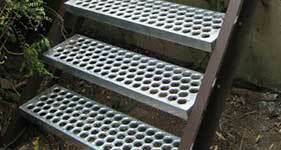 As for stair treads, Marco stocks and fabricated virtually every variety; and all are made to meet the same quality standards as all of our fabricated grating. 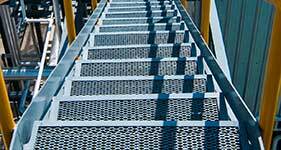 In addition, we can supply checkered plate nosings and cast aluminum abrasive nosings to maximize the safety of your stair treads. 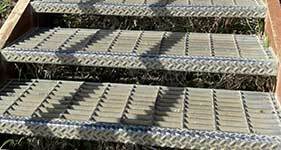 We offer an extensive assortment of stair tread material, from fiberglass to bar grating stair treads. Call us today so we can help you determine which is best for your project.